Overlooking a vibrant and locally significant urban square with beautiful forest surroundings this exceptional business center sits on the fourth floor of a modern and luxuriously supplied building just minutes from downtown Montreal and the area's main services and amenities including shops, restaurants, cafes, bars and luxurious hotels.. Montreal-Pierre Elliott Trudeau International Airport can be accessed within 40 minutes. This brand new glass tower and commercial workspace location is situated very close to Dorchester Square, making it the ideal setting for relaxing lunchtime walks and the perfect place with which to base corpoate operations for professional clients and business requirement across numerous industries. The space provides a collaborative and creative environment as well as private office space, ideal for anyone looking to grow their business from an iconic Montreal address. This is a very charming building. It is had great heritage from the city itself. The interior of the office space is modern, spacious, and bright. With large windows surrounding the entire office, you have a true feel for the heart of Montreal near many things to do and eat. This contemporary and highly innovative corporate establishment provides all prospective tenants with a number of professional services and facilities and is representative of some of the area's most innovative and creatively-conscious workspace provision, set within an engaging an artistically innovative environment and surrounding district. The site is easy to access via the local transportation networks present in the area. Distinctive, sleek and well-connected, these very impressive professional suites are furnished and inclusive of only the best in technology. Clients can take advantage of the striking surroundings of downtown Montreal, full of a huge selection of gourmet restaurants, shopping malls and superb transport links. Additional facilities include secure covered parking, an onsite cyber café and fitness centre, and modern conference rooms. Only four miles from Montreal-Pierre Elliott Trudeau Airport and ideal for the travelling professional this stunning glass-fronted, exquisitely fitted and modern building is home to a top floor business center offering a range of flexible office space solutions and provides tenants with great views of downtown Montreal and its surrounding regions. Complete with state of the art technical equipment and premium facilities included on site as standard to all occupants, this is an ideal location for corporate operations in a popular city district. These beautiful executive offices come tastefully furnished and fully equipped with high speed internet, modern technology integrated conference facilities to offer a convenient work environment. 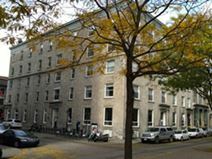 Clients are supported by professional onsite staff, and benefit from a central location in Montreal. 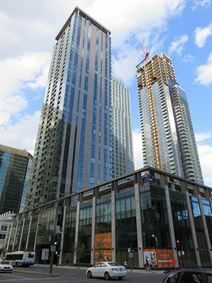 The underground city, McGill Metro Station and all major transport links are within minutes’ from this business centre. 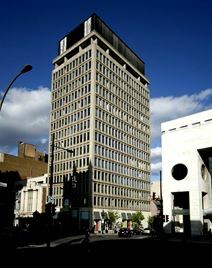 Located within a landmark 23-storey tower building and flexible office complex in the very heart of Montreal's main and commercially significant central business district, this vibrant and luxurious contemporary office space provider offers a prestigious location for all professional tenants to base their day to day working activity and corporate operations close to the city's major insurance and finance companies. With the entire city within easy reach, this exceptionally serviced and premium quality business center is set within the heart of the area's central business district and is part of a 23-storey tower on one of the city"s most renowned, historic and culturally significant streets. With a major financial and corporate presence, the office building is surrounded by companies from insurance, finance and more. Close to Montreal Courthouse in a trendy area in Old Montreal, this business center provides co-working and fully furnished executive suites that are ideal for law firms or attorneys. On-site business support staff are on-hand to assist you whenever you need them. The regional transport links present in the area are excellent and offer a number of excellent travel options throughout the locality and surrounding area. 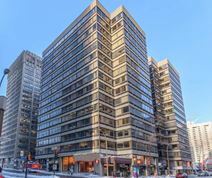 Connected to the upscale and widely popular Galerie Place Ville Marie shopping center, this beautiful and exquisitely equipped co-working office space is located in the heart of downtown Montreal with amazing views over the highly renowned Champlain Bridge. This open and collaborative workspace is ideal for both start-ups and major corporations, offering comfortable and professional surroundings and an engaging atmosphere. This exquisite and exceptional business center is part of an elite range of executive suites in Montreal’s lively, sparkling and well renowned professional centre. Clients enjoy full support from professional assistants and sophisticated onsite facilities, including cutting edge internet and communications technology. Supplying excellent panoramic views of the city, this distinctive space is within seconds of the area’s acclaimed restaurants and hotels. This impressive landmark building in Montreal houses an incomparable range of spacious, luxurious executive suites in a variety of sizes. Clients receive use of the fully-equipped conference rooms at this location, as well as complimentary access to 3 other locations across Canada for the ultimate in convenience. These offices to lease provide striking views of the surrounding area and skyline, in addition to the subway, onsite parking and quick access to the rest of Quebec. This exquisitely furnished corporate complex and business center installation is a primary and technologically sophisticated setting, ideal for professionals of any industry or commercial background. Featuring an exceptional range of facilities and services on site including spacious meeting rooms, luxuriously furnished interiors, high speed internet connectivity, on-site management and more, this is the ideal setting for any type of workspace solution package requirement. This center is beautifully decorated dedicated offices, in addition, many meeting rooms around town boardrooms, and a wide array of natural light service. 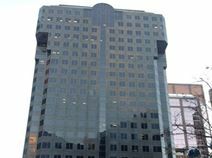 The office is in one of Montreal's most sought-after business locations. This space is air-conditioned and contains a new desk executive chairs for you and your guest. 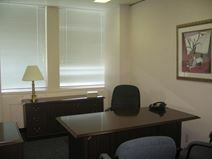 Based in an historic building in Old Montreal, these completely modernized executive suites are available for tenancy. Situated next to the Quartier International, a vast array of amenities and business connections are minutes’ from the doorstep. Excellent transport links to the rest of Montreal are all nearby as well. The regional transport services are also highly frequent and convenient for all clients. This exquisitely furnished and state of the art business center is a premium standard and high quality corporate establishment, providing all prospective tenants with a number of services and business facilities including copy and printing equipment, conferencing capabilities, dedicated corporate telephony, spacious meeting rooms, high speed internet connectivity, secure parking provision and much more as standard. This flexible and versatile business center installation provides a number of state of the art and stylish contemporary office suites that come fully equipped and set within a highly prestigious landmark business building that also provides a range of professional services and facilities including spacious meeting rooms, conference facilities, high speed internet, an abundance of natural light and much more as standard. This exquisitely furnished and fully functional business center is a premium standard and state of the art office installation, complete with a full range of corporate furnishings and technologically innovative equipment and facilities, making this the ideal and highly professional working environment for all professional tenants. The regional transport links are also excellent and provide a number of frequent and convenient services. This center's unwavering mission is to offer the best shared services for small businesses by creating accessible and well tailored workspaces. The goal is to support entrepreneurs and company leaders by providing them with the appropriate services. The center is located at Château Saint Ambroise, an old factories converted into commercial lofts that have kept its antique flair. Located near downtown Montreal in the province of Quebec, the Chateau boasts a unique setting thanks to the Lachine Canal on its doorstep. Occupying one of Montreal’s most elite buildings in the thriving business district, these luxurious offices are available on flexible lease terms. Each suite features all modern business facilities and striking views of the surrounding area. Easily accessible from the rest of Montreal and Dorval International Airport, the neighbouring vicinity comprises an impressive selection of amenities. Fantastic investment. These prestigious business premises are ideal for company representatives seeking a premium corporate address in Montreal or enterprises requiring day-by-day office space. 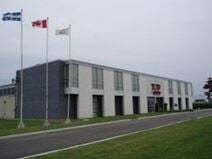 The building is ideally located between Downton Montreal, West Island and Laval, and has access to Highway 40 connecting all main Canadian cities, including the capital and Toronto. It also enjoys proximity to shopping amenities. This impressive building offers offices and warehouse spaces provided with all the services and facilities needed to run a successful business: reception services, meeting rooms, video-conferencing facilities, high speed internet connection and advanced telecommunication systems, monitoring and controlled access services as well as print/copy facilities and fully furnished kitchen. 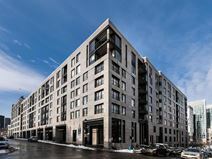 Located in the heart of Pointe-Claire, this building is surrounded by restaurants, hotels, shops and is well connected to the airport and to the railway station. Right in the heart of the city's thriving business district, this centre offers a range of effective serviced office solutions. 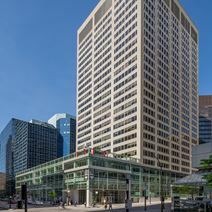 The building has direct access to Montreal's Underground City, and is close to McGill metro. This local transportation infrastructure means that the center itself is easily accessible for both prospective occupying tenants and commuting visitors to the site, with a number of frequent and convenient services in operation locally.